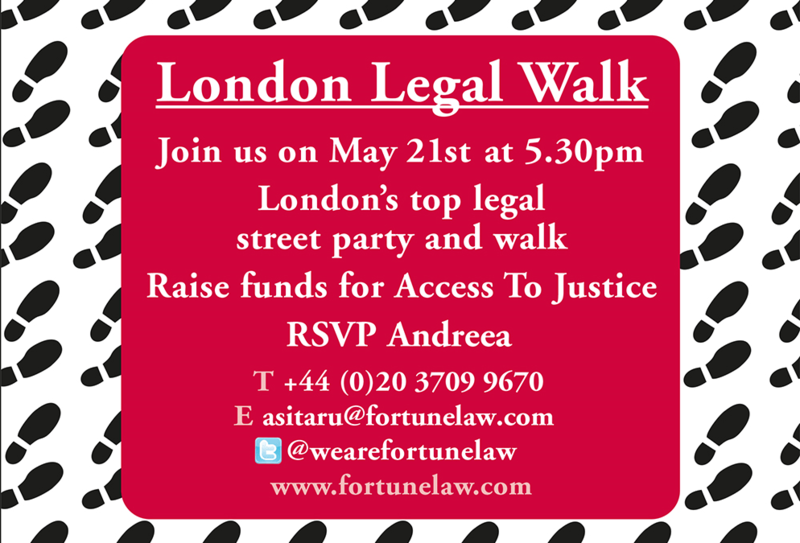 Team Fortune Law are once again entering the Legal Walk in London, a fantastic walk through London’s Parks at the height of the Spring Season. We will be walking with the Lord Chief Justice and thousands of other lawyers, their clients and friends. Date: Monday 21 May from 5.30pm in London. Starting Point: Carey Street WC2A next to the Law Society. The walk ends at the Law Society (indoors) and at the street party in Carey Street / Bell Yard. Our Virgin Giving Page is here raising funds for the London Legal Support Trust, which funds Law Centres and pro bono agencies.